Moroccan Atlantic coast offers beautiful natural areas and wildlife. Our hikes in this region of Morocco you will discover from Essaouira, beautiful shores, sandy bays, coves, rugged cliffs, endless beaches and dazzling white marabouts on dry ground, but warm. Hiking in Morocco on the Atlantic coast but also meet the Berber tribes living in the tiny fishing villages hidden in coves or on rocky plateaus dotted with argan trees, which produced the famous oil in which to dip the bread hospitality. Arrival in Marrakech or Agadir, airport reception and transfer to hotel. Dinner and overnight at the hotel 3 ***. Breakfast and departure to the south of Essaouira Diabat. 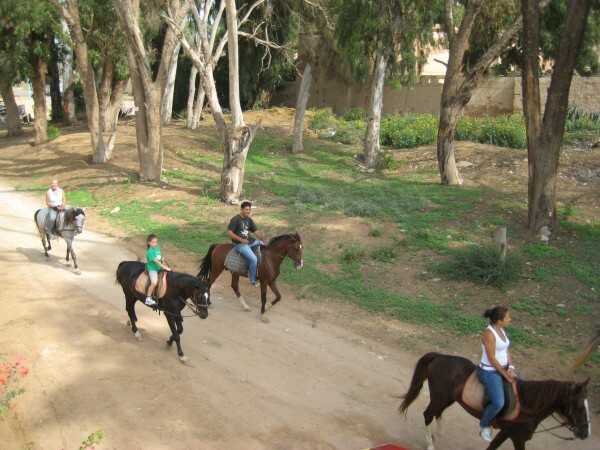 Meet your equestrian team and start your hike through the village El Ghazoua Moroccan campaign through small paths, and you will meet many argan trees in your path and small Berber villages to Argana. Breakfast and continue the hike through a forest along many winding paths and a small Berber village and then plateaus between small hills along the sea after being down in the heart of a small valley, you reach the place called “the source” where you have lunch with the team tent. Afternoon in the fields, through small trails. By late afternoon, enjoy an extraordinary panorama with breathtaking views over the sea will reach the small fishing village of Iftane. After a good gallop on the beach (deserted cove), you go up on the cliff overlooking the sea where your camp. Dinner and overnight in the camp. In the morning you drive through fields and small villages by the sea You take the direction of natural waterfalls and Marabout Sidi M’bark where you have lunch. Recent flow into the sea after lunch you along the cliffs overlooking beautiful deserted beaches and huge sand dunes, enjoy long gallops freely. You will cross a small picturesque fishing village. Arrival at the camp in late afternoon, one of the beaches located on the village of Sidi Kaouki. Dinner and overnight in the camp. After swimming with the horses for those who want it, you will return towards Essaouira along the beautiful deserted beaches and sand dunes specific to this region. Crossing the small fishing villages on the beaches and a traditional Berber village. You can admire the charming little lighthouse of Cap Sim and then you continue through the fishing villages located on the beach. Picnic lunch in the shade of eucalyptus trees on the beach (2 hours break). You arrive on Diabat end of the afternoon, passing through a forest of eucalyptus and mimosa trees and the ruins of the ancient palace of the Sultan. Arrived in Essaouira. Accommodation at the hotel or riad. Breakfast, morning free to visit city then transfer back to Marrakech or Agadir. Breakfast, free day for sightseeing. Price per person is € 660. – Transfer on arrival and departure from the airport to Marrakech or Agadir and the hotel. – Transfer by car from Marrakech or Agadir and the starting point of the trek and back. – 03 nights half board at the hotel in Marrakech 3 ***. – 01 night with breakfast in Essaouira in 3 *** hotel or riad. – Full board in the hike. – Nights in camp during the trek. – Truck (portage luggage & food). – Lunch in town or in transfers.